Having a pet dog can be a lot of fun in any season. A dog is an excellent companion, a loyal protector and an adorable friend. And you should be the best possible companion for your dog, so it's important to arm yourself with knowledge about how to best care for your pet's health. The best approaches to pet healthcare change with respect to factors such as your dog's breed, age and level of activity or even what season it is. Now that spring has sprung, it's time to look forward to summer. The weather is getting warmer, the sun is shining brighter, and you should be considering what your four-legged friend needs for the changing seasons. Keep the following important dog health tips in mind as the summer approaches. 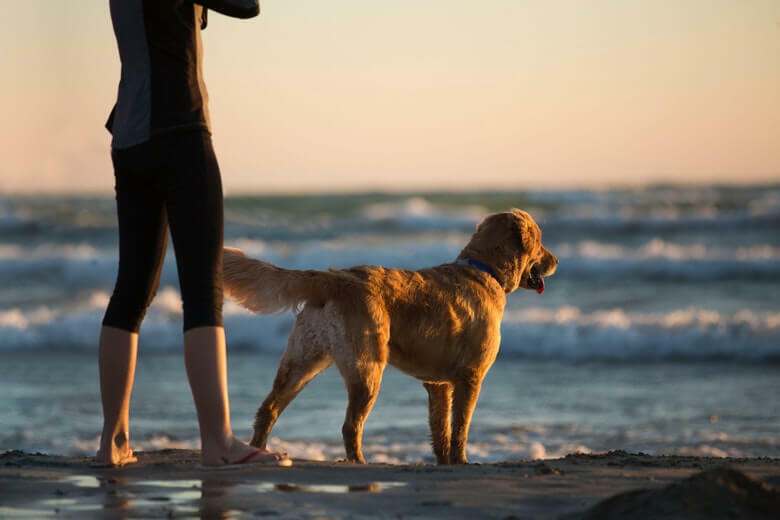 This information can help you look after your pet properly, and both you and your dog can stay happy and healthy all summer long. Just like humans, dogs need to be properly hydrated to feel good and function well. This is especially important in the summertime, when it can get hot outside. During the summer months, you should focus on getting your dog to drink enough water. Always have at least one full water bowl available to him in the house, and consider putting multiple bowls around, so that he can take a drink no matter where he's hanging out. When you're on the go with your dog, bring a collapsible bowl with you. That way, you can find a sink or water fountain to fill the bowl, and give your dog some much-needed H2O whenever he needs or wants it. If you're not sure if your dog needs water or not, you should learn the signs of thirst and dehydration. Panting, dry eyes or dry gums may indicate that your dog is in desperate need of some water. Don't wait until you see these signs to give your dog some water -- you should be aware of your pup's needs and water intake. There's a good chance that your dog has been cooped up inside for most of the winter. If that's the case, you'll want to prep some things for your dog before you let her romp around in the warm weather. First, make sure her parasite prevention protocol is up to date. That means taking your dog to the vet to get properly treated for fleas, ticks and heartworms. These pests are always around, but they're even more prevalent when it's warm out. By treating your dog for parasites, you can ensure she is protected from them when she's spending time outside. If you have a yard, you may be preparing garden for the summer. However, before you let your dog outside, your yard needs to be safely prepared for her. Get rid of any debris that's been left around over the winter. Clear out dead limbs and leaves as they can host fungus, mold and more. If you are starting to plant and spray your garden, everything needs to be cleaned up before your dog goes outside. All chemicals, such as those found fertilizers, should be put away so your pet doesn't actually ingest something that could be harmful to dogs. You should also start going on longer and longer walks with your dog. If your pup has lived at a slower pace during the winter, you need to help her work up to more physical activity and the lengthier walks you'll enjoy as you take advantage of the warm weather. Before you let your dog play outside for the season, make sure you visit your vet for a checkup. Your vet can check out your dog from nose to tail, and let you know that she's in great shape for playing and running. By going to the vet before the summer season begins, you'll be informed about any potential health problems before they cause your pup any pain or discomfort. If your vet does spot any potential health problems, like Cushing's disease in older dogs, she may be able to prescribe a medicine like Vetoryl for dogs, which can help decrease symptoms, make your dog more comfortable and give her a better quality of life. Ask your vet if there are any special dietary or supplement needs that would benefit your pup as the weather changes. Your vet can help you understand any changes that need to be made to your dog's diet or routine so this summer can be as enjoyable as possible for her. Grooming isn't just about making your dog look great (although, I'm sure he'll appreciate a brand new style for the season!). It's also about keeping his skin, hair and nails clean and healthy and keeping him in the right shape to stay comfortable during the season. 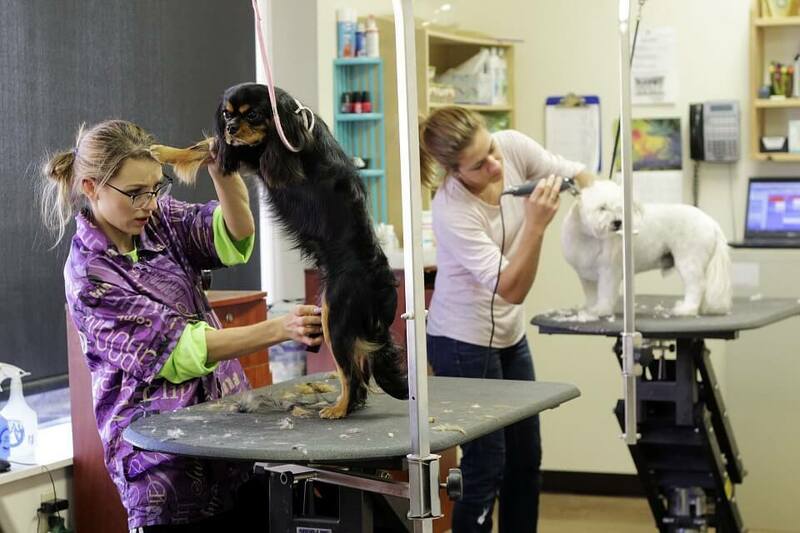 Depending on your dog's grooming needs, you may want to visit a groomer to have your dog trimmed or shaved. Regular brushing is important, but getting rid of that extra layer of hair that kept him warm all winter will help ensure he stays cool in the summer. It will also make way for fresh hair to grow back for the next cool months. Your dog's nails should be kept short all year long, but the extra activity he'll be enjoying in the warm weather means you should be even more aware of his paw health. Whether you take care of it at home or go to a professional groomer, make sure your dog's nails are trimmed regularly. Having shorter nails will help him to avoid injuries, discomfort and ingrown claws, which can cause infections. Keep the above tips in mind as you and your dog look forward to the summer. By learning how to best care for your dog when the sun is out and the weather is warm, your best friend can stay comfortable and healthy -- and you'll both get to enjoy a great summer together.